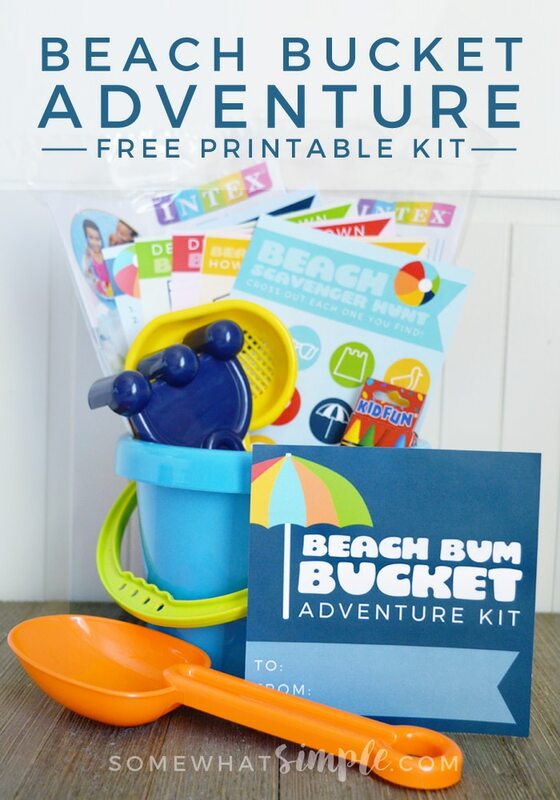 Get your kids even more excited about their next trip to the beach with this fun Beach Bucket Adventure Kit! My family just got back from a family trip to Florida that was SO.MUCH.FUN. We drove over 16 hours each way to get there (insert crazy face here) but I was fully prepared with plenty of treats and toys to keep my son excited. 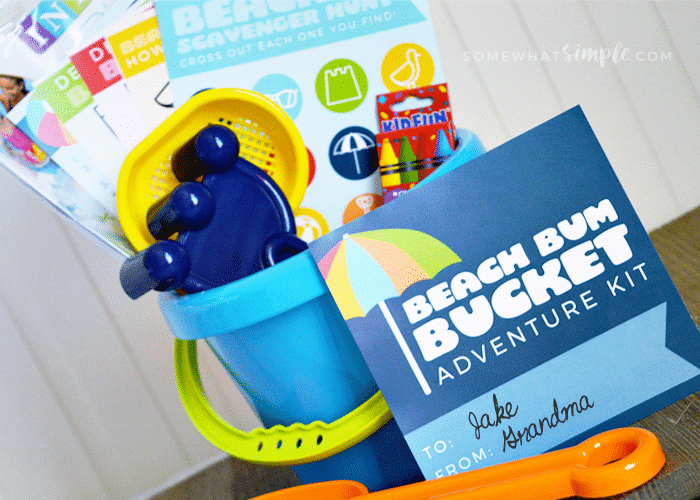 One of the ideas I came up with to give him was this Beach Bucket Adventure Kit, full of fun things to do once we (finally!) got to the shore. I shopped the Target Dollar Aisle for all of this so the whole thing was less than $10. I’ll show you all that I included so you can recreate this idea for your kids, AND I’ll include the free printables I used so you can grab them too! sand toys – shovel, rake, items to decorate sand castles etc. I laminated my printables to make them more durable and reusable, but if you plan to use them once and toss them, regular paper or cardstock will work just fine! I included some fun little wooden props I found at JoAnn’s to decorate our sand castles – wood pennants, sea creatures, peg people etc. 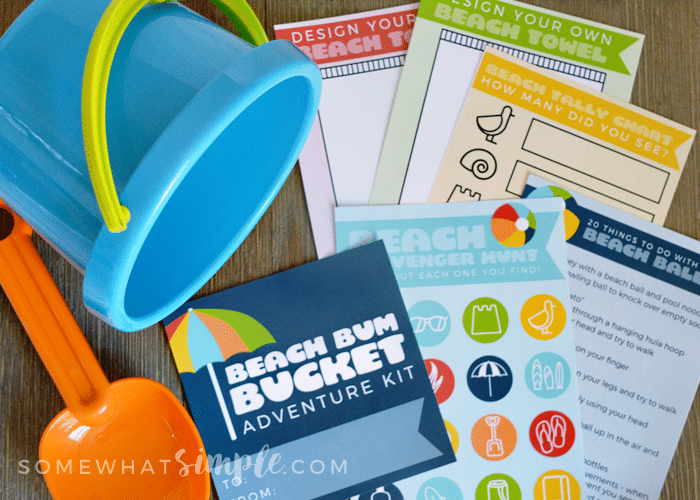 Fill your bucket with all the fun items listed above. Head to the beach and have fun!!! 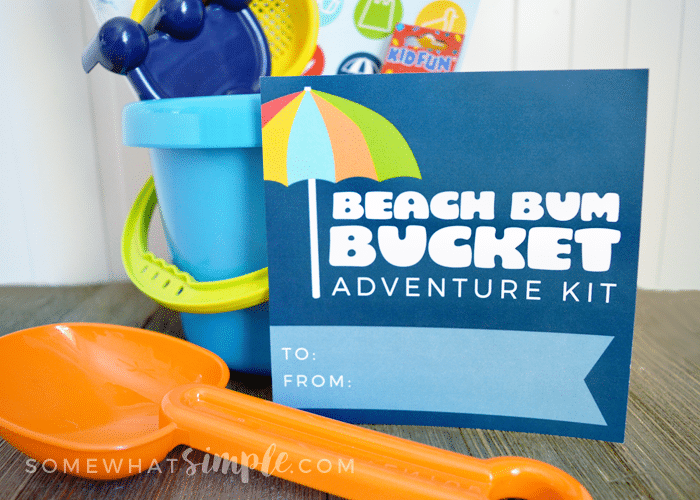 We hope you have so much fun on your next trip to the beach! 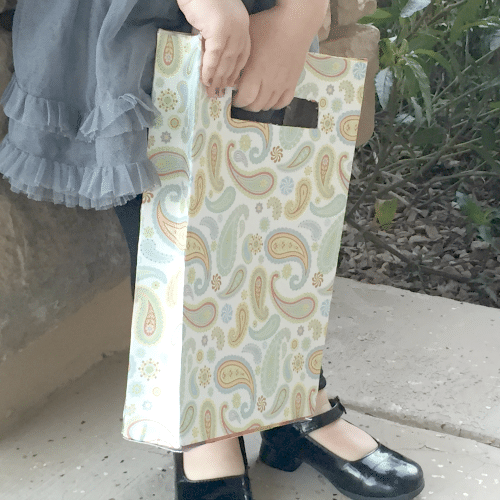 ABOUT THE AUTHOR: Abbey is the creative mom and blogger from The Cards We Drew. She was a contributor on the Somewhat Simple Creative Team in 2013 where she shared creative seasonal ideas each and every month! 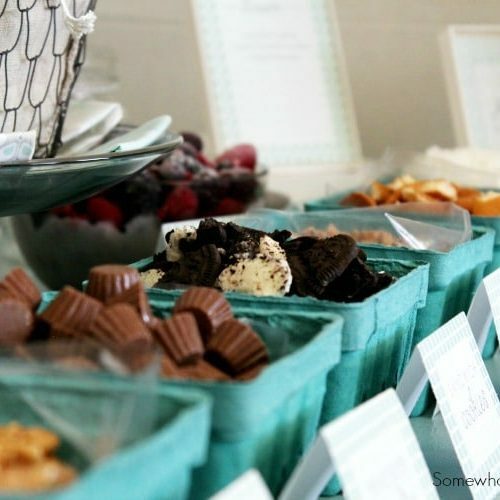 This post originally published on Somewhat Simple in May 2013. It was updated with new printables in July 2016.